See Snider, J.H., Too High a Price for America’s Next Generation TV System, Huffington Post, December 5, 2017. See Snider, J.H., “Spectrum Auction Gives Billions to Billionaires: Congress’s rigged auction to reallocate public airwaves from broadcast to broadband service is lining the pockets of telecommunications industry fat cats in a massive taxpayer giveaway,” American Prospect, October 12, 2016. For background information, see the various menu items above the header to this page. This music video (click above), The Airwaves Belong To Us, is based on Woody Guthrie’s “This Land is Your Land.” It focuses on Congress’s huge giveaway of public airwaves right to TV broadcast licensees, a large fraction of which are owned by billionaires. See Facebook.com/OurAirwaves and Twitter.com/OurAirwaves for sharing this video via social media. These waves belong to you and me. I began to wonder, who owns these airwaves? Information about the last tens-of-Billion-dollar public airwaves giveaway to local TV broadcast licensees is contained in the column to the right. 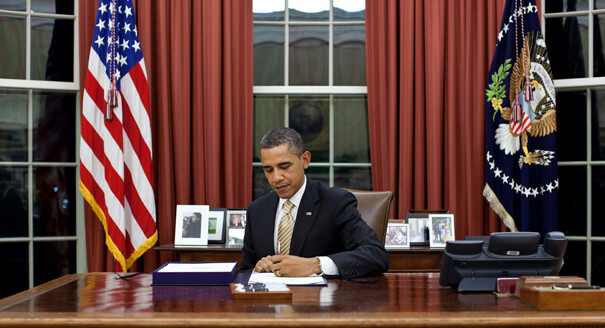 President Obama signing The Middle Class Tax Relief and Job Creation Act of 2012, which authorized the giveaway to TV broadcast licensees under the guise of funding middle class tax relief. 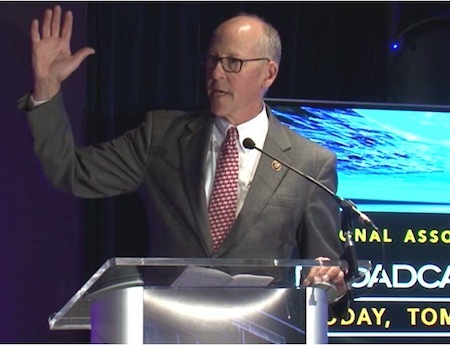 U.S. Representative Greg Walden (R-OR), Chair of the House Subcommittee on Communications and Technology and a champion of the Incentive Auction, speaking at a National Association of Broadcasters event. September 7, 2016 National Association of Broadcasters event explaining why broadcasters expect to get a federal government windfall whether or not they participate in the Incentive Auction. J.H. Snider reports two profound failures of the U.S. spectrum auction. It will not yield the $billions promised to the U.S. Emergency Service Network or the U.S. Treasury. It will gives $Tens of Billions to station owners, who had no legal claim to permanent use of the public airwaves. Most of the money will go to people like Rupert Murdoch and Brian Roberts. The [opinion] piece is polemical but also accurate. 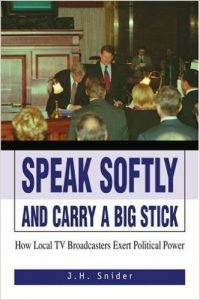 Snider, J.H., Speak Softly and Carry a Big Stick: How Local TV Broadcasters Exert Political Power, iUniverse, 2005. Praise/Book blurbs for Speak Softly can be found here. 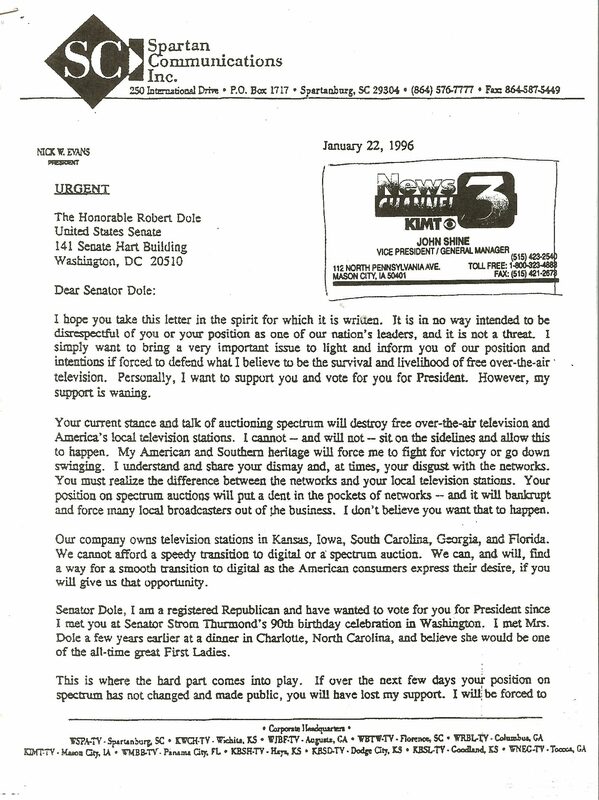 A highlight discussed in the book is the letter from Nick Evans to presumptive Republican presidential nominee Robert Dole, who publicly spoke out against the airwaves giveaway to local TV broadcast licensees contained in the Telecommunications Act of 1996. Nick Evans owned a large chain of local TV stations in states vital to Dole’s presidential campaign. He also served on the board of the National Association of Broadcasters, the leading trade association that lobbies on behalf of local TV licensees. The NAB never denounced the Evans letter. Copied below is a facsimile of the letter to Dole followed by extracted highlights. The full contents of the letter has never previously been published. I hope you take this letter in the spirit for which it is written…. Your current stance and talk of auctioning spectrum will destroy free over-the-air television and America’s local television stations. I cannot — and will not — sit on the sidelines and allow this to happen…. This is where the hard part comes into play. If over the next few days your position on spectrum has not changed and made public, you will have lost my support. I will be forced to use our resources to tell the viewers in all of our markets of your plan to destroy free over-the-air television. I will be forced to tell the over 700 employees of our company of your plan and encourage their support of another Presidential candidate. I have spoken with many other broadcasters who feel the same as I do. Without speaking for them, I know that they are making the same plans that I am, while wishing and hoping that they can support your race for the Presidency…. I hope you will reconsider your view and position. Providing broadcasters a smooth transition to digital is not “corporate welfare.” It is good business and a necessity for the American consumer and local broadcasters. My plan is to start our campaign against spectrum auctions and its supporters in the next ten days. I know that you are very busy, but I would like to hear from you as soon as possible. I would simply like to know if you are with us or against us. I hope that you will find a way to be with us so that we can he with you. My best wishes to you and your family for a safe and healthy 1996. Snider, J.H., The switch to digital TV—an early bailout that went awry, Harvard Nieman Watchdog, June 12, 2009. 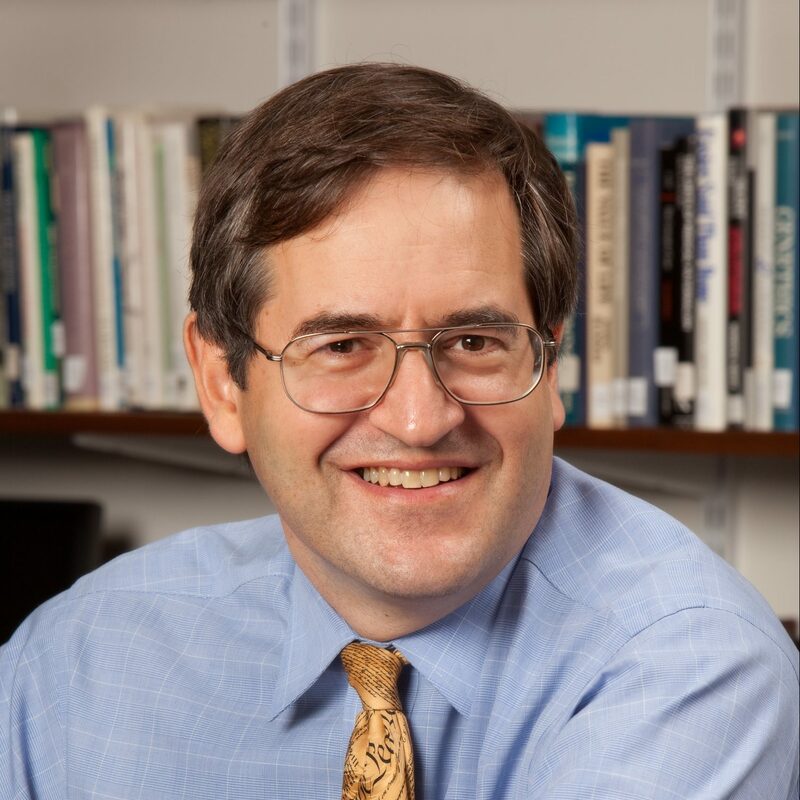 Snider, J.H., How Mass Media Use Crisis Communications for Political Gain: The Broadcast Industry, 9/11, and Hurricane Katrina, paper presented at the Annual Meeting of the American Political Science Association, September 2005. Snider, J.H., The Myth of “Free” TV, New America Foundation, June 2002. Snider, J.H., Local TV News Archives as a Public Good, Harvard International Journal of Press/Politics, March 2000. Snider, J.H., and Benjamin I. Page, Does Media Ownership Affect Media Stands? The Case of the Telecommunications Act of 1996, series of papers on overt and covert media bias published during 1997 at various meetings of the American Political Science Association. In its lead cover story, Education Week cites J.H. 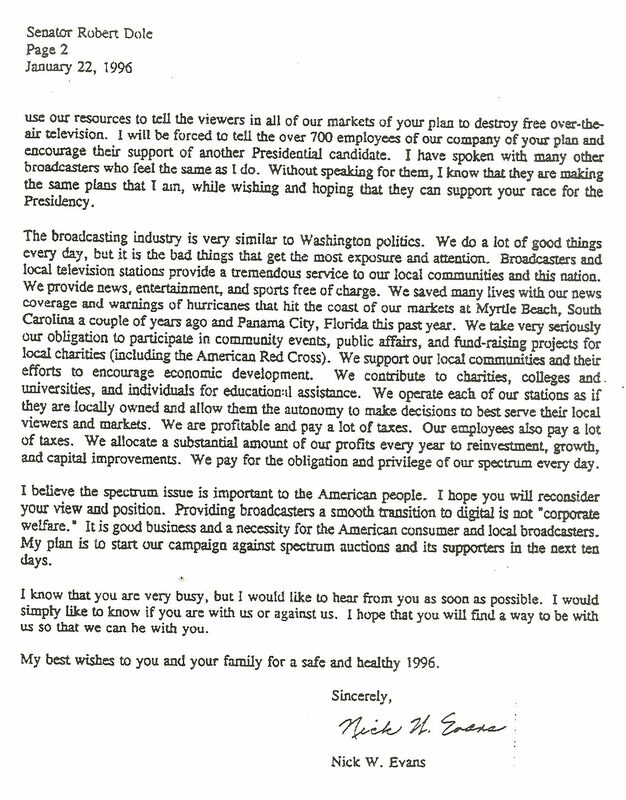 Snider’s critique of another Congressionally sanctioned giveaway of billions of dollars’ worth of airwaves rights—to Educational Broadcast Service licensees. See Doran, Leo, Education Groups Call for FCC Action on Huge Tech Resource, Education Week, October 26, 2016. Education Week is the leading national newspaper covering K12 education. Please note that the reporter incorrectly identified John Schwartz, one of the licensees, as Jim Schwartz. Evans, Donald, D.C. Circuit Finds FCC’s Unlawful Give-Away of Licenses Unreviewable, CommLawBlog, November 17, 2016. Here is an excerpt describing the courts as feckless with regard to FCC airwaves rights giveaways. Collier, Deborah and Thomas Schatz, The Road to 5G: Protecting Taxpayers Through Government Auctions, Citizens Against Government Waste, April 2019. Adilov, Nodir, Peter J. Alexander, Brendan Cunningham, and Daniel Shiman, Wanted Dead or Alive: Satellite Depreciation and Spectrum Hoarding, Draft paper, April 1, 2016. Haskins, Caroline, The price of the internet is the space race nobody knows about, The Outline, March 23, 2018. Snider, J.H., Is the spectrum just too complex for reporters?, Harvard Nieman Watchdog, June 12, 2009. Snider, J.H., The Art of Spectrum Lobbying: America’s $480 Billion Spectrum Giveaway, How it Happened, and How to Prevent it from Recurring. Praise For The Art of Spectrum Lobbying can be found here. Snider, J.H., with graphic design by Nigel Holmes and content advice by Coleman Bazelon, Mike Rothkopf, and Bennett Z. Kobb, The Citizens Guide to the Airwaves: A Graphic Depiction of the Uses — and Misuses — of the Radiofrequency Spectrum, July 2003. Praise for The Citizen’s Guide can be found here.